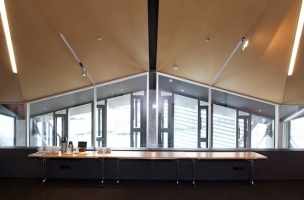 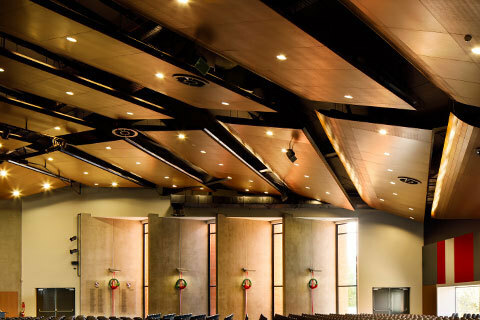 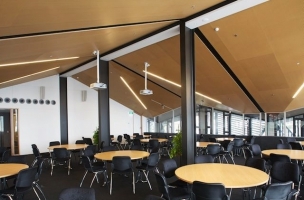 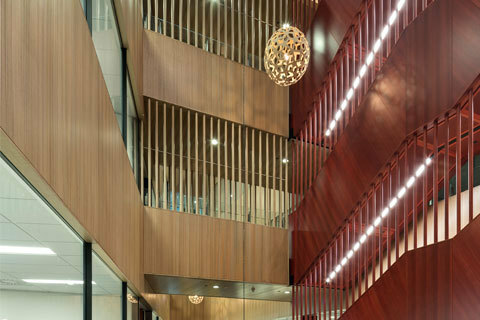 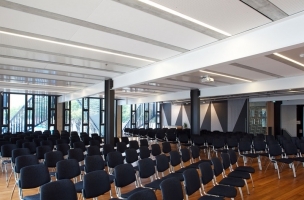 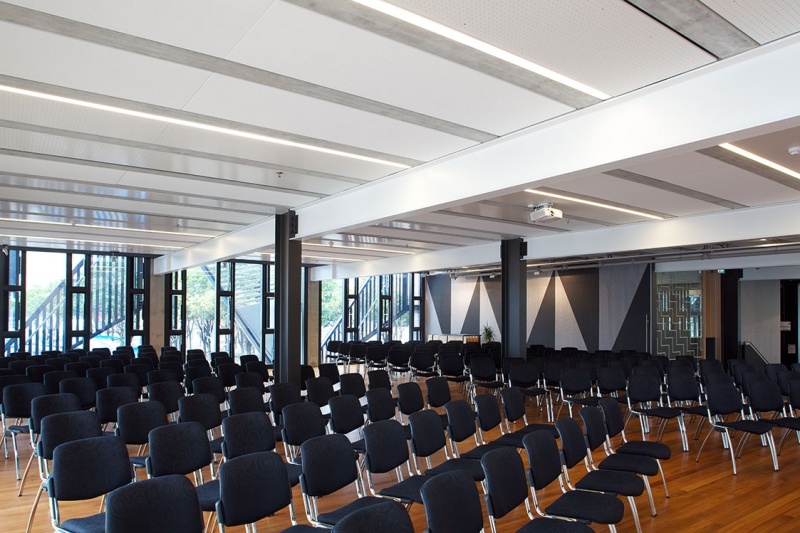 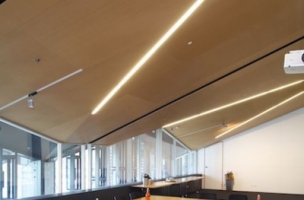 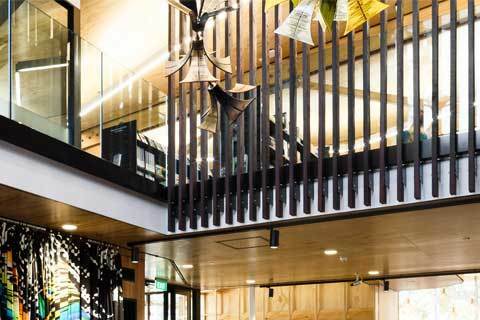 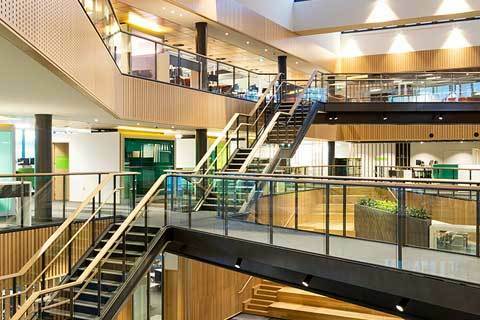 Wharewaka’s unique sloping ceilings on the first floor were perfect for Décortech customised panels. The Multigroove 3/16 lent itself to the space with ship lapped edges butting together to allow a seamless finish. 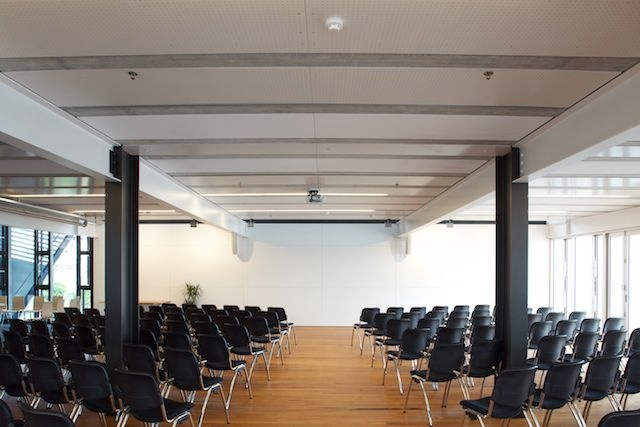 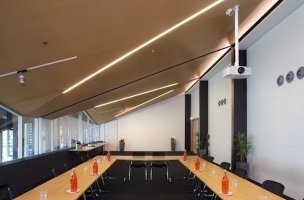 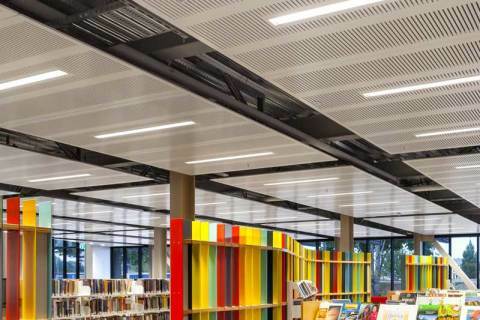 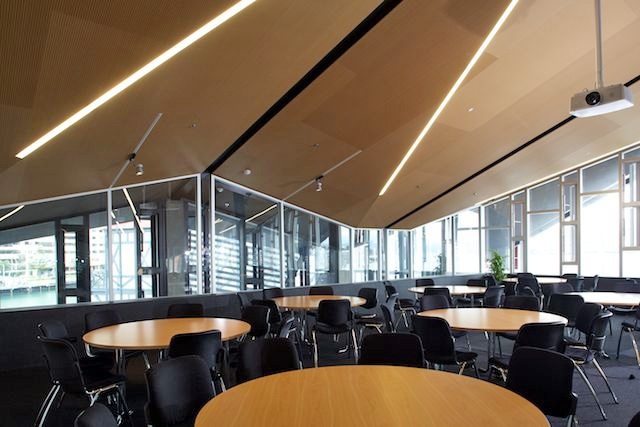 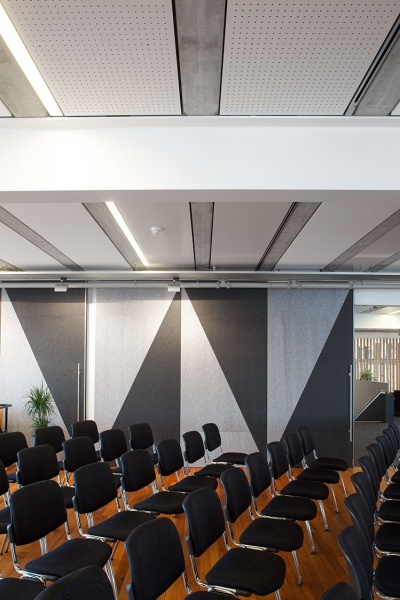 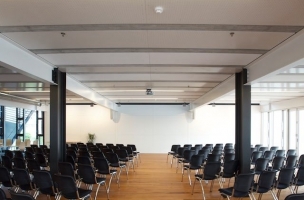 The Multigroove 3/16 vertical slats were ideal in the space as they spanned the ceiling bringing a sense of height and space and bringing design, form and function to the interior. 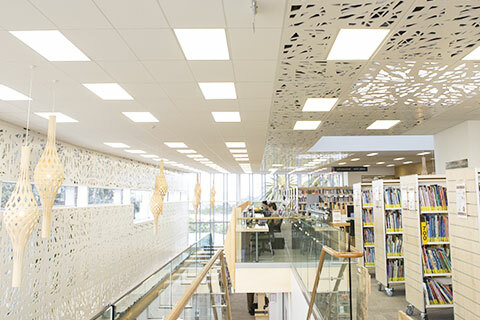 The panels were easily installed using modified staple gun on loan from Décortech. This gives a fully concealed fixing as the panel is stapled through the grooves. 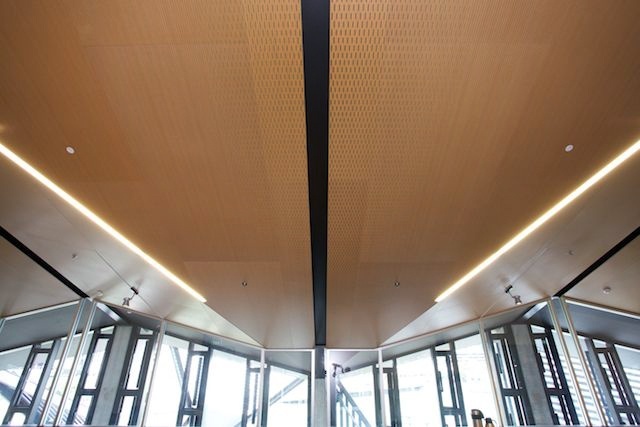 The lower floor panels were individually machined and there were over 114 different panels. 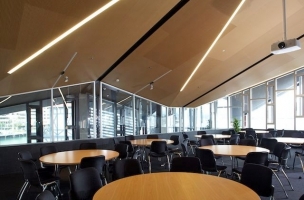 The panels were drawn by Décortech prior to machining and this minimised any errors in the actual panels allowing for total accuracy. 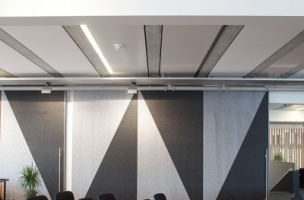 Décortech’s fully customisable patterns allowed the panel size to be changed while keeping the borders and the perforations consistent, creating panels that fit the space perfectly but also remain constant. Architecture Plus engaged Décortech with their design months prior to the project commencing. 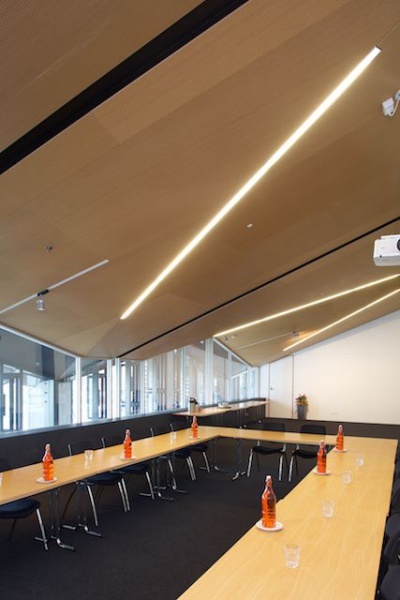 Samples were produced for the project allowing the architect to see exactly what they were specifying and to critique and make changes where necessary.